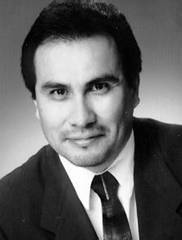 Mr. Jimenez is the President of ITG New Mexico LLC ( ITG). He manages the day-to-day operations of this vibrant technology company. ITG focuses on providing software technology solutions for business problems. The list of consulting services offered by ITG includes accounting software conversions, accounting software implementations, software training, customized setup of software to meet client requirements, performing assessments of client needs and recommendation of software based on those needs as well as custom database design and development. Call us today to see what we can do for you. 2004-2017 ITG New Mexico. All Rights Reserved.